At Mossy Oak Properties, we share your passion for the land and the outdoors. Like many of our customers, our brokers are avid outdoorsmen who love to spend time in the woods as often as possible, whether working with clients, hunting, fishing, or simply enjoying God’s great creation, there’s no place that we’d rather be. 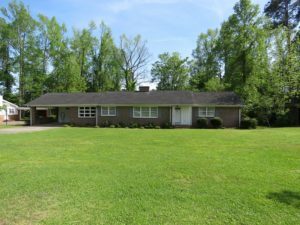 If you are looking to sell your property in North Carolina, we have the right broker for you. Our passion for the outdoors and our desire to connect other outdoor enthusiasts with their dream of owning their own property is why we get out of bed in the morning. So whether you own a 5 ac rural residential tract or a 5,000 ac working farm, we can connect you with a buyer who will enjoy your property as much as you do. We are blessed to do what we love to do, when it’s time to sell we can help you achieve your goals, you can trust the experts at Mossy Oak Properties. 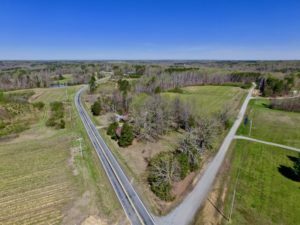 We are North Carolina’s Land Specialists — here are some of the ways that we can help you find a buyer. Lands of North Carolina, part of Lands of America, is a network specializing in farm, timber, and hunting land. What buyers are looking for is up-to-date information delivered directly to them on new properties or status changes to existing listings. There are hundreds of websites with thousands of listings all of which can be overwhelming to buyers having to sift through all that information to find the right piece of property. At Mossy Oak Properties, we simplify the process. Each week we send an email called the Weekly Property Update, a sample of which is shown to the right. This provides our registered buyers with real-time information on all our new listings. No more wading into a sea of information to find what they are looking for. The Weekly Property Update is delivered to our buyer-clients inboxes every Saturday morning. It contains an informational blog called the Management Minute as well as photos and links to all of our new listings. Clients are a click away from viewing all of the details about your property. Click here to see full screen version. This magazine is a top source for fishing and hunting information in North Carolina. It is published monthly and circulates to more than 28,000 subscribers and reaches more than 75,000 readers each month. 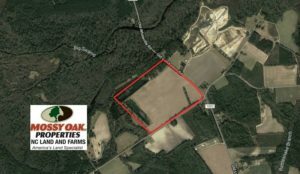 Mossy Oak Properties strategically reserves full-page advertisements several times a year highlighting our listings, the counties we represent, and examples of some of our featured properties. Down East Sportsmans Expo in Greenville, NC is a major and popular outdoor-industry-based event that attracts a variety of hunting, fishing, and outdoor enthusiasts from all over North Carolina. Click to download and view sample documents.